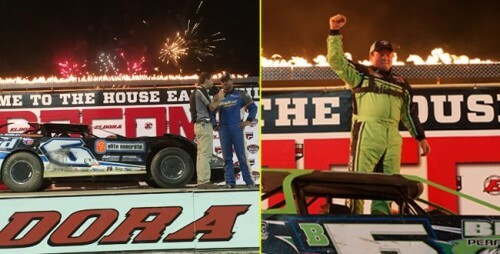 ROSSBURG, Ohio – June 10, 2016 – “Two” seemed to be the lucky number Friday night at the 22nd Annual Dirt Late Model Dream at Eldora Speedway in Rossburg, Ohio, as Brandon Sheppard and Jared Landers became the duo to win the double-feature program in front of a packed crowd. The Big E’s 24-degree banking is where most of the battles were held during the first feature. The victory was not only Sheppard’s fourth of the year, but also a follow-up to Thursday night’s win. Sheppard is the most recent driver to sweep both preliminary nights of an event weekend at the track since Jonathan Davenport did it at the World 100 in 2015. Sheppard ran a similar race as the night before. His No. B5 Best Performance Motorsports Rocket machine started on the outside of first position, and he eventually shut the door on the rest of the 24-car field within the first five laps. Sheppard cleared his car for the lead at turn four on lap four. Chris Brown, who started the race in first, began to fall from the podium when the No. 28 McBride Mac/ V.O. Mack Truck Sales Black Diamond car of Dennis Erb Jr. undertook Brown on lap six. Erb thereon challenged Sheppard for the lead, sticking to the bottom of the track; Sheppard relied on sheer momentum on the outside. This battle went on for the remainder of the race, and despite the two cautions in the stretch, Erb could only close the gap to 0.065 seconds. Bobby Pierce rounded-out the podium with a thrilling pass on Billy Moyer with 12 laps remaining. Pierce glided under Moyer through turn four in his No. 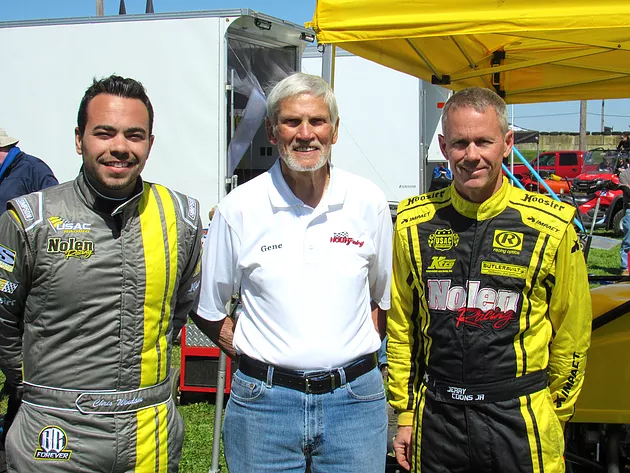 32 Allgayer Inc./ Champion Spark Plugs Bob Pierce machine, forcing Moyer to forfeit the spot. Moyer did not have the speed to fend-off Pierce’s push. In the second feature, Landers had neither a front-row start nor the chance for a favorable restart to give him a clear path to the top. Greg Satterlee, who started on the outside of Scott Bloomquist in the front row, had a strong start much like Sheppard in the feature before. Satterlee maintained less than a half-second lead throughout the race – that is until Landers’ No. 777 Crop Production Services/ Bad Boy Mowers Bloomquist machine made his push with 11 laps remaining. Landers’ gamble paid off as he passed Satterlee’s No. 22 Satterlee Petroleum Distributors/ Keyser Manufacturing Rocket from the bottom of the track. Satterlee continued to fade, losing second place to Bloomquist’s No. 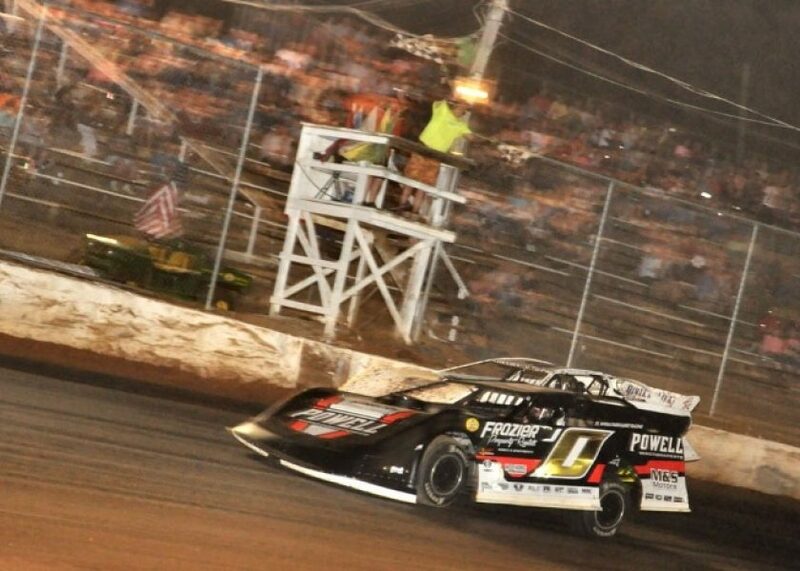 0 Crop Production Services/ Reese Monument Co. Bloomquist car in the final laps; Satterlee held on to third. This was Landers’ second win of the season. 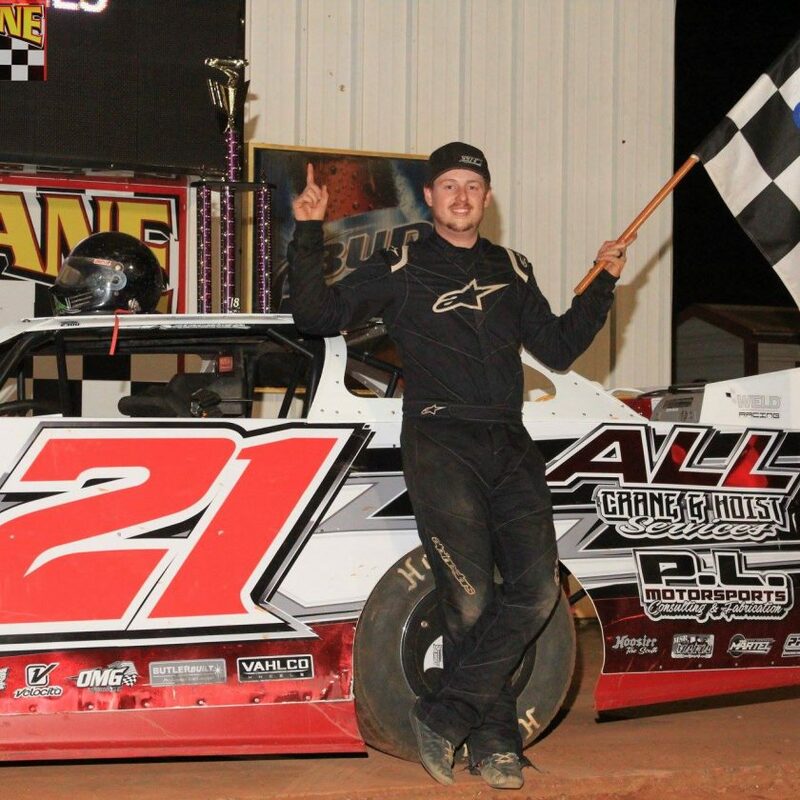 The 22nd Annual Dirt Late Model Dream by Ferris Mowers returns to action Saturday with a “don’t-want-to-miss” showing of the $100,000-to-win Dirt Late Model Dream. Gates open at 12 p.m. with hot laps scheduled to start at 6 p.m.